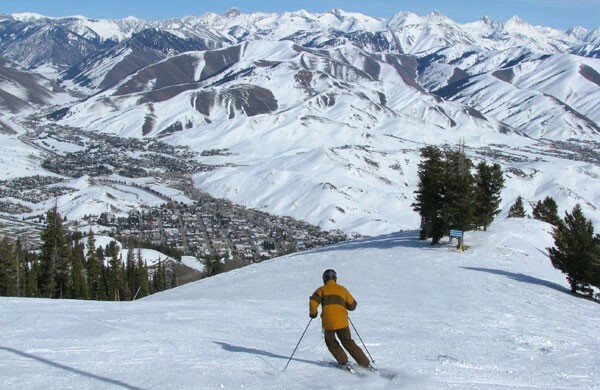 Those who do not know how to ski look at skier rushing down the slope and think, ‘this looks easy’. However, it cannot be farther from the truth. Skiing needs a lot of training and practice with the right kind of equipment otherwise it can be a very dangerous sport. If you are new to skiing and want to learn it, this article will give you some helpful tips to get started on ski training. Get the right equipment: You can either rent or buy your skis. Wearing the right clothes and guards are a must for ski lessons. The clothes for skiing are designed in such a way to keep you safe and comfortable in these extreme conditions. 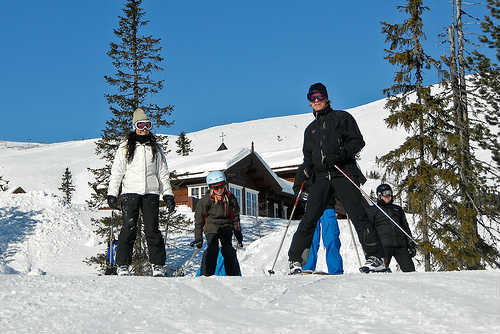 Start with the basic clothing and then gradually you can keep adding to your skiing wardrobe. Find the right ski area for you: If it is your first time, then make sure that you choose an area that has beginner slopes and instructors to teach. Buy the ski lift ticket to reach the hill top: Skiing is downhill and the ticket will give you access to the transport to take you to the top. 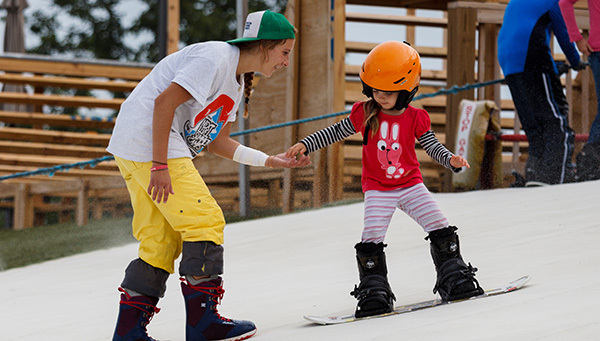 Look for a ski lesson program that suits your specific needs: Do your research before finalising on one. 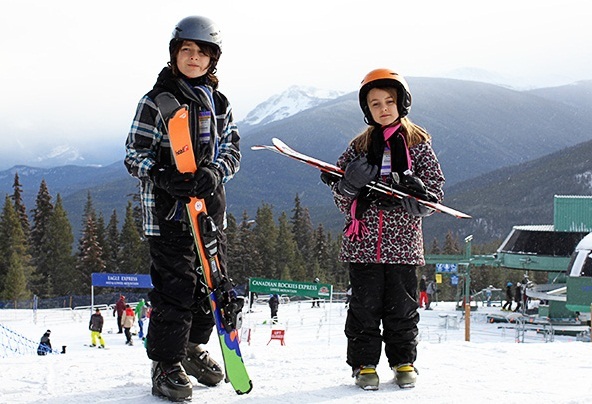 Most ski lessons for beginners follow a step-by-step process. From making you comfortable on the skis, to working on your stance and balance the lessons will encompass everything to gradually make you a ski expert. Get to know the ski trail signs before starting down a trail. To begin with choose the easiest trail and then gradually move up the difficulty level. Begin by using the rope tow. This way you would be using your hands to pull yourself up the slope while standing on the skis. This will make you learn to balance and feel comfortable of your skis. You will need to use the chairlift to be transported up to the hill top. It is important to know how to get on and off the ski chair with the skis on, otherwise you may get hurt. If the ski resort has a gondola for transport, then you will have to remove your skis while riding on it. Gondolas are closed cable cars. The first step to skiing is to learn the gliding wedge. This is important to learn how to control your skis. Learn to snow plow. This is the traditional stance to stop and is used by all beginners. Learn it well to be able to stop at the right time. After working on your stance on the skis to keep your body balanced, you will learn a straight run. This is the foundation lesson for skiing. Next you will be taught how to turn using your hands when going down the slope. With this you will start to move towards the more advanced ski lessons. Skiing is a wonderful sport both physically and mentally, but also takes time and practice to excel. Make sure that you are completely prepared and confident about your skiing skills before hitting the more difficult slops. Author’s Bio : Mark Farley works with one of the reputed ski training centres, and has been blogging on various topics related to sports. If you want to learn how to ski like a pro, please visit their website now.